Emergency Manager Kevyn Orr proposed major pension cuts for both current and former city workers. 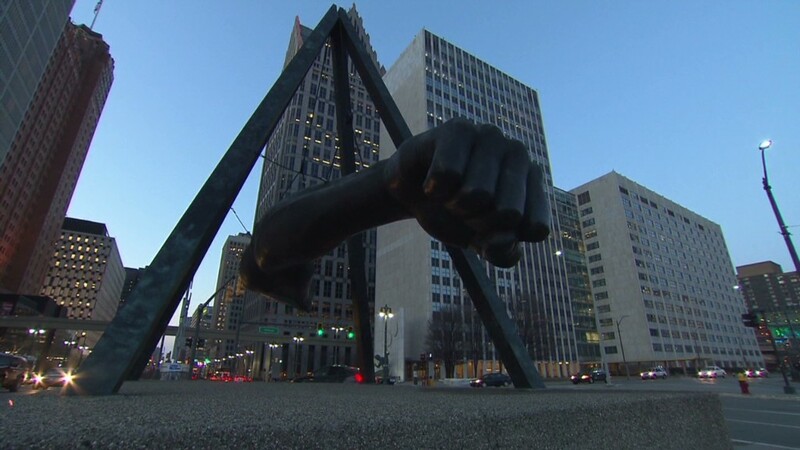 While the details of Detroit's historic bankruptcy filing Thursday continue to unfold, one thing is clear: Tens of thousands of current and retired city workers face the risk of significantly smaller pension checks. As part of a reorganization plan, Emergency Manager Kevyn Orr has proposed to cut the city's debt by nearly 83% from $11.5 billion to $2 billion. Among those reductions, Orr has proposed major pension cuts for both current and former city workers. "There must be significant cuts in accrued, vested pension amounts for both active and currently retired persons," Orr wrote in the June proposal to creditors. Detroit has long struggled to afford the retirement benefits it has promised to workers. And as of June 30, the pension funds currently had an estimated shortfall of about $3.5 billion, a number far larger than was previously estimated, according to the proposal. If the cuts are approved, that would ultimately mean that retirees would see smaller checks than they're currently receiving and workers would retire with lower benefits than expected. "This is money they've earned, they counted on," said Karen Ferguson, director of the Pension Rights Center, a nonprofit that advocates for retirees. "They need these checks to pay their bills." When employees of a bankrupt business lose their promised pensions, a federal agency called the Pension Benefit Guaranty Corp., or PBGC, provides a minimal level of benefits to the retirees. But municipal workers, which include police officers, firemen and sanitation workers, do not have a similar pension safety net in case of bankruptcy. Making matters worse, many retired police and firefighters rely exclusively on their pension checks since they did not pay into Social Security, said Don Taylor, president of the Retired Detroit Police and Firefighters Association. Ahead of the city's bankruptcy filing, the city's two public pension funds and at least two retirees filed lawsuits alleging that cuts to promised pension benefits would violate the state's constitution. The American Federation of State, County and Municipal Employees, or AFSCME, also oppose the cuts. "Clearly, the Governor and the financial manager are eager to sacrifice the well-being of tens of thousands of workers and retirees, in violation of Michigan's state constitution," AFSCME President Lee Saunders said. David Arthur Skeel, a University of Pennsylvania law professor and expert in bankruptcy law, said the proposed cuts may stand up in bankruptcy court, however. Who will bail out Detroit? While pensions have long been considered untouchable, both legally and politically, things are changing, he said, and a small Rhode Island town successfully cut pension benefits during bankruptcy last year. Many cities and states have enacted pension cuts outside of bankruptcy as well, said Jean-Pierre Aubry, at Boston College's Center for Retirement Research. While many of the cuts have been focused on new employees, cuts affecting cost of living increases for current retirees have also been upheld. "Pensions are the lowest hanging fruit," he said. "It is one of the easiest areas to tackle." Still that doesn't mean that Detroit's pensions are likely to be completely decimated. "The people who are running the bankruptcy are going to be quite mindful that this has real effects on real people," Skeel said. CNNMoney's Tami Luhby contributed to this report.